Unexpected findings are not infrequently encountered, either intraoperatively or in the postoperative settings. This chapter will discuss options for a positive air leak test following a low anterior resection. 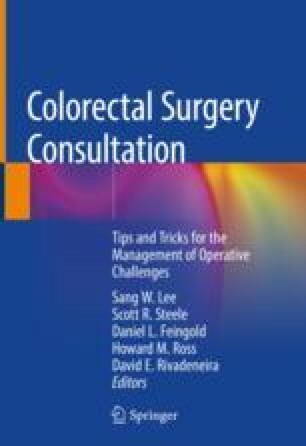 Sujatha-Bhaskar S, Jafari MD, Hanna M, et al. An endoscopic mucosal grading system is predictive of leak in stapled rectal anastomoses. Surg Endosc. 2017. https://doi.org/10.1007/s00464-017-5860-y.